Situation: Multi-faceted industrial engineering and manufacturing company Icon Septech WA had, through no fault of their own, found themselves with a tarnished brand. So, when new owners took on the firm, they wanted to draw a line in the sand. Deliverables: We were engaged by our friends at Perth branding agency Luminosity and web development gurus BirdBrain to help rebrand the business, starting with a new name and messaging suite (tagline, mission, values, the works). Our copywriters then helped bring the new brand and branding to life, initially via a new capability brochure and interim website. 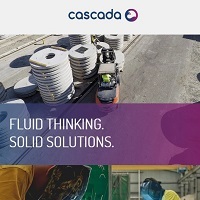 Result: The result is a fresh new brand with a compelling brand story, built on the underlying truth that had existing within the inventive Cascada team all along. The past has well and truly been left behind. Check out some of our other brand naming, message design, website copywriting and brochure copywriting projects.